It's June now, but I have for you one more May project. 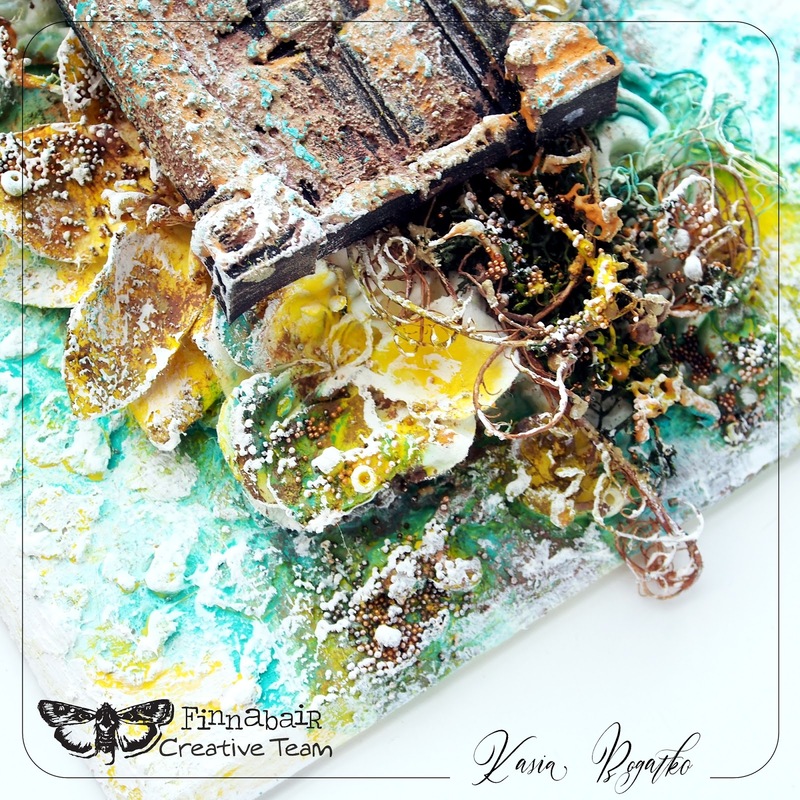 This is mixed media canvas I made for Prima & Finnabair May's Art Recipe. 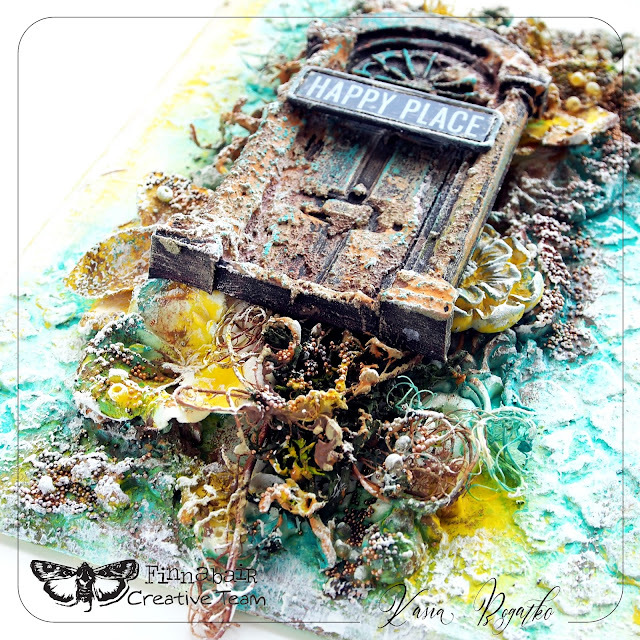 Our theme this month was "Secret Garden" and we used Art Alchemy Impasto Paints, Art Alchemy Waxes and Stencils. For our Secret Garden theme I decided to make a canvas with a magical door playing the main role. Just imagine the mysterious garden that could be hiding behind it... 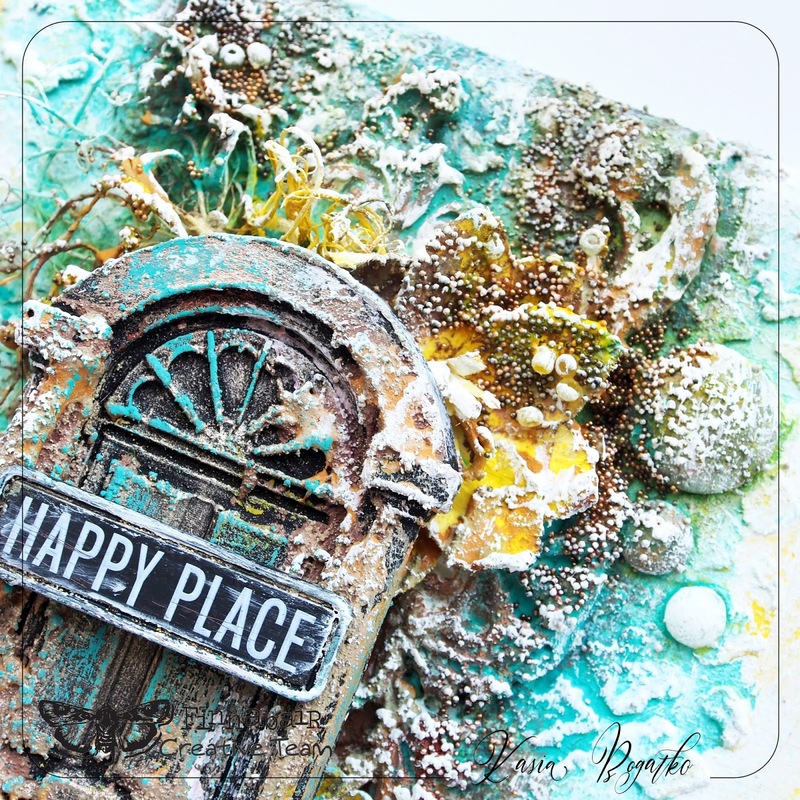 I used a stencil with Modeling Paste to create the background and Art Alchemy Impasto paints for the colors. I really love it that these paints are completely permanent when they dry which allows me to later on safely add other media on top of them and not ruin the whole effect. I created my garden making a composition of flowers, twigs, and resin shapes. 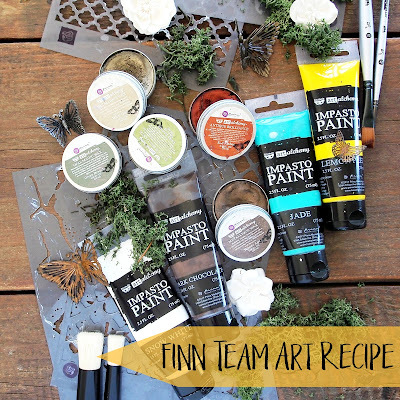 I painted all these elements with Impasto paints, only this time I watered them down a little, which made them behave like watercolors to create more subtle color effects. The main element of this project is the door. To give it this old character, make it look vintage and time-worn, I used Rust Effect Pastes and then emphasized certain elements with my favorite (and so versatile!) Art Alchemy Metallique Wax in White Gold. 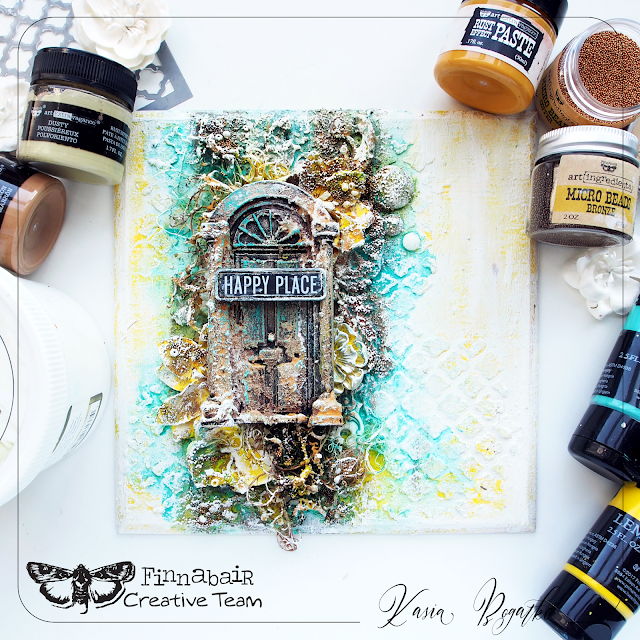 I love how the layers of these pastes helped me add more mystery to the look of the door. Welcome to my Secret Garden! Łoboziuuuuu, jak ja kocham to uczucie niekończącego się zachwytu takimi wspaniałymi pracami jak Twoja. Zbliżam wtedy twarz do ekranu i - choć wyglądam jak wariatka - doglądam każdego najmniejszego szczególiku. Wow! Cudownie to wszystko skomponowałaś. Wspaniała praca!